With a huge number of comic books, it can be difficult to write something interesting and new. However, it appears that it is not enough to have a few superhero ideas to be able to translate them into a coherent story. In reality, few talented individuals really know how to write a superhero origin story, but you can certainly become one of them. You may think that the most popular superheroes are just too modern, too postmodern, and too automatic to resemble humans. However, they are perfect for the world in which they live. It means that the unique characteristics of your superhero should fit in their surroundings. If your superhero lives in the 21st century, then he or she must have the most advanced features that are available in the new millennium. If your superhero lives somewhere in the 19th century, then his heroic features should reflect the realities of the 19th century world. It is important. Don't disregard this aspect of writing. Otherwise you will never manage to make your story popular and successful. 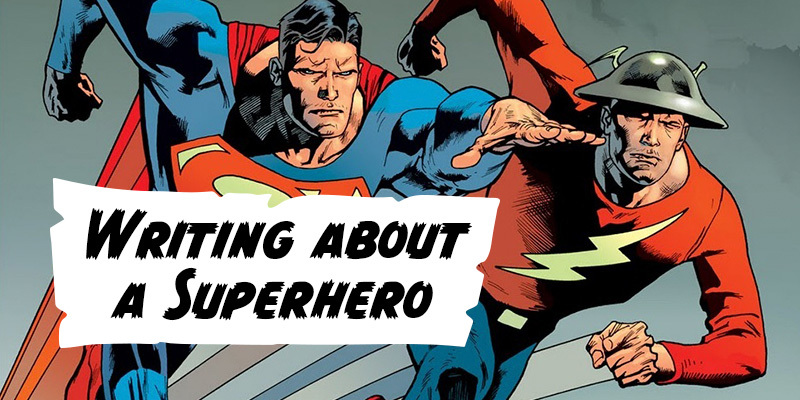 If you review the most popular superhero stories, you will notice that all superheroes are relevant for their world. For example, if you look at how Spiderman or Batman act, they all come from the darker urban worlds, and they look quite natural, even despite their superhero features. Thus, when you are creating an image of your superhero, imagine what the world is like with and without him. For example, if you want your superhero to fight against avengers, then you should create a world in which these avengers actually fit. If you want to create a superhero who is fighting against mafia, then it is enough to create an imaginary world that is full of criminals who have all kinds of weapons to fight against their enemies and against the police. It is possible to assume that ordinary thieves and even murderers will not be interesting for a superhero. Therefore, create an image of villains whose features are at least comparable to those of your superhero, so that they can fight as equals still leaving enough space for the triumph of your superhero. When you see that your readers are tired of superheroes, try to do the opposite: expose them to antiheroes, and it will be your triumph. Antiheroes became the late celebrators of their own popularity. They did not really see the world until the 1960s, and even then they were not truly popular. However, new superhero stories mushroomed, readers definitely wanted something brand new. Antiheroes came as a response to the changing market demand for books and as a novel trend that captured thousands of readers and filled bookstores around the globe. Since the end of the 1980s, antiheroes have become an indispensable component of comic book writing. You will see them everywhere, and they will hardly go away in the nearest time. An antihero is a unique personality. He is a hero, but he is not. It is like having a violent criminal save a girl from committing suicide. It is like having an aggressive boss pay for treating an employee's child who is having cancer. You can find plenty of examples of antiheroes in literature. They have become particularly popular in the past years. You can follow these examples and create an antihero of your own. However, originality is everything, so it is better if you try something new. Batman is still popular, but who needs another Batman featured in your book? Besides, if you simply copy some story, you may face plagiarism allegations. This negative popularity will never benefit you. At the same time, you shouldn't necessary focus on creating an antihero. What matters to you is that your readers should really like your hero. No matter if it is a negative or a positive hero, your readers should find something familiar in him. Creating a superhero is not an end; it is just a means to achieve the desired result. You should be able to fascinate your audience. You should write a superhero story that will be different from everything your readers have ever had a chance to read. No matter if your superhero is positive or negative, it should be likeable. Moreover, they should be comic. After all, you are writing a comic book, aren't you? Storytelling is a hard work, no doubts. However, you can do it. You have the talent and skills needed to make it work. Create a hero that you like, and it will be a success. Besides, don't try to be like many other writers who have created cold, rational and cynical heroes. The world is full of cynicism, but you want to be different, and this is also what your hero wants. A perfect superhero is the one who defends eternal values and higher ideals. You think it is outdated? You are wrong. People value eternal things. They actually miss them. So, when you are on your way to writing a perfect superhero story, these values will certainly do their job. When you are writing a superhero story, don't forget about the moral code. If you have an antihero, then the moral code will also be different. However, it should still be there. Many comic books subvert these moral codes because their authors think that they are unimportant. Don't make the same mistake! Think twice before you commit the same thing in your superhero book. For example, you can review the conflict involving Batman and the Joker. 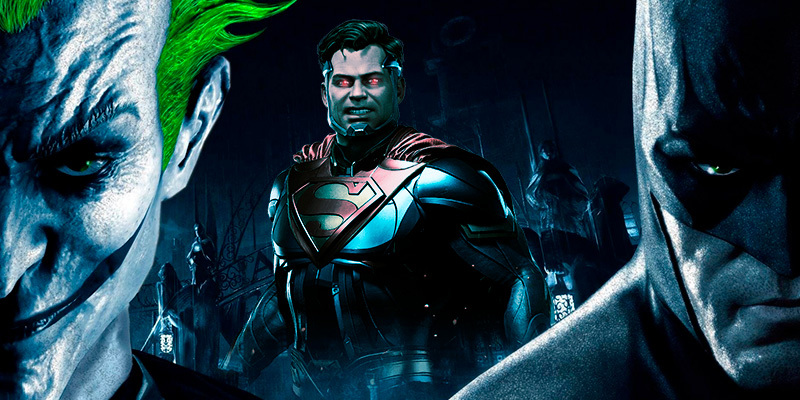 If you look at different parts of a superhero story, you will have many questions as to why Batman decides to keep Joker imprisoned instead of simply killing him. This happens over and over again. Apparently, it is done to keep the story going. However, it is also a subversion of Batman's moral code, and it makes the whole story look questionable and ambiguous. You don't need the same kind of ambiguity in your own story. Your superhero should have a clear moral code, and he should follow them in all situations. If your superhero keeps ignoring this moral code like Batman, your readers will gradually lose their interest in your superhero story. Your readers expect to see a strong and powerful leader, a fighter, who never betrays his ideals and values. This is what you will have to do to produce a likeable story. Another example comes from the Superman. In one of the most brilliant movies about him, the protagonist says that the human world imposes a whole set of responsibilities on him. He must constantly monitor his compliance with the rules and principles created by human society. Once he violates them, he is no longer a part of it. It is simply a must – following the rule of law without questioning it. If your superhero fails to be compliant, he will become a criminal to the liking of the antiheroes against whom he is actually fighting. Make sure that your superhero doesn't lose control and doesn't become a villain in the eyes of your readers. This will be an end to your story. Your task is to keep your readers in tension, and you can do it quite well. 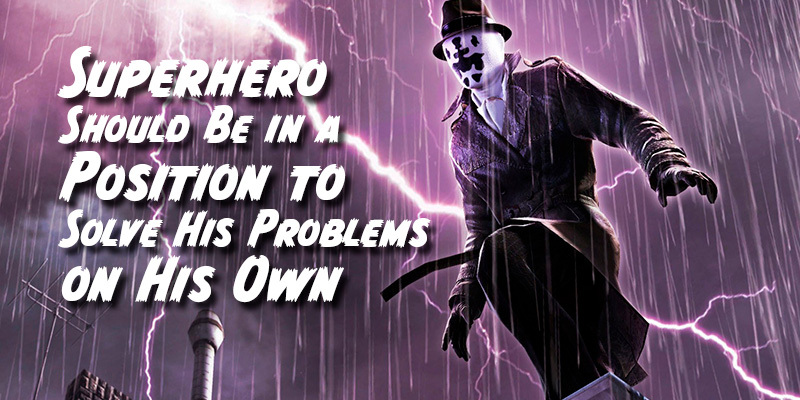 If your superhero can't solve his own problems, then how can he be in a position to solve the problems of others? In the middle of the 1970s when televised superhero stories were still in the state of infancy, directors and producers often made a mistake when they assumed that it would be enough for a superhero to use some sophisticated technology and have the problem go away. Most readers want to see a human superhero who resembles themselves, with the exception of the superpowers that he uses to fight the evil forces. Don't exaggerate the capacity of your superhero to accomplish unbelievable things. If you decide that a superhero can invent a talking machine in a glimpse of an eye, then your story is over. It doesn't have a plot. It is predictable. It is boring. Create an atmosphere of struggle. Make your superhero look for unusual solutions and fight for the best resources and people as humans do. Your readers should be wondering how the superhero of their choice will deal with a problematic situation. It should be equally inventive and unexpected. It should also match the opportunities offered by the environment in which your superhero exists. You shouldn't assume that your superhero will invent a supersonic rocket if he lives in the 19th century. Of course, he will have some kind of a superpower, but don't make it overtly unrealistic. You are not writing a science fiction story. You are not writing a fantasy. It is a superhero story, in which a hero that resembles your reader uses his exceptional forces and talents to save lives and make other people happier. You can do it! Just try.